This is the meatiest of the premier fish. Naturally endowed for the grill this dense fillet is my personal favorite fish. 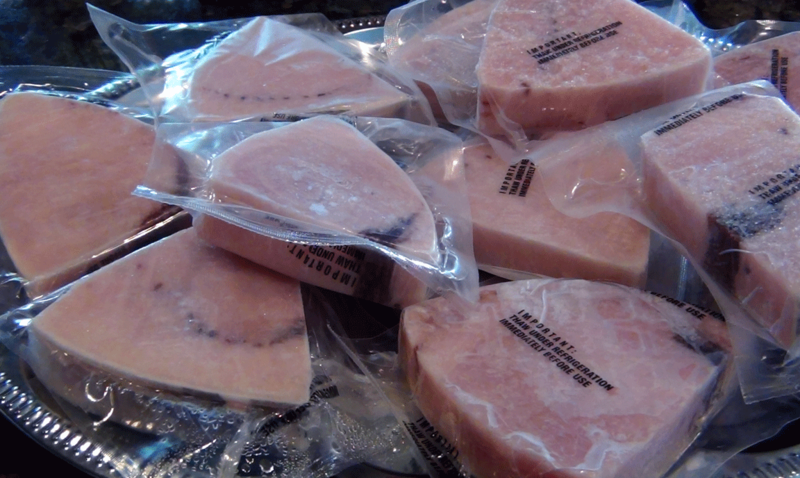 Just thaw overnight in the refrigerator or float in cold water for 15 minutes. When ready to cook remove from package and pat dry between 2 sheets of kitchen towels. Best grilled but can also be pan seared, baked or broiled. Don’t forget to season- a little salt and pepper goes a long way.